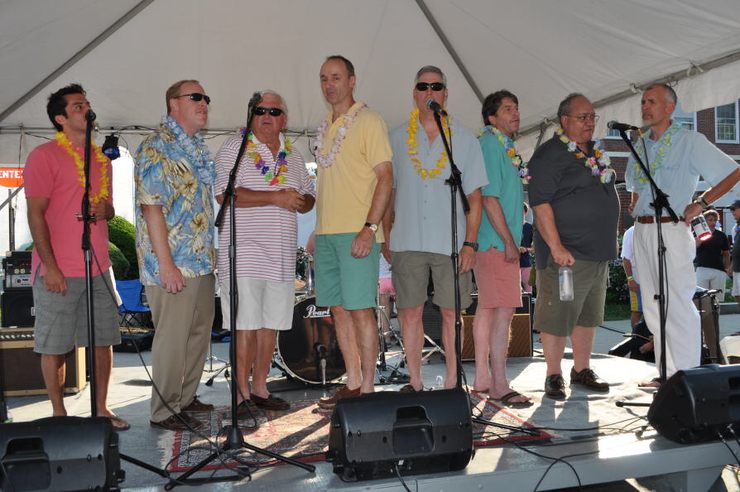 The Off Sounders is a men’s a cappella singing group that has been performing in the Greenwich, Connecticut area and beyond since 1956. 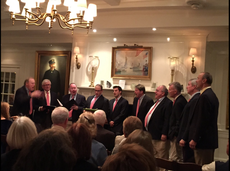 The group's repertoire includes traditional, contemporary, spiritual, classical, jazz, pop, show tunes, good old rock and roll, country western and seasonal music. 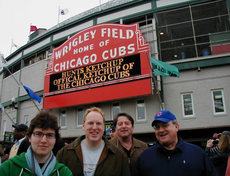 The Off Sounders perform at local clubs, private parties, benefits, holiday parties, business functions, churches, hospitals, nursing homes, taverns, holiday gatherings and charitable events. 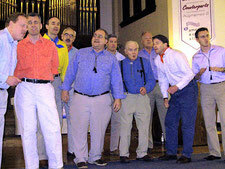 They also perform with other a cappella groups and with college a cappella groups. 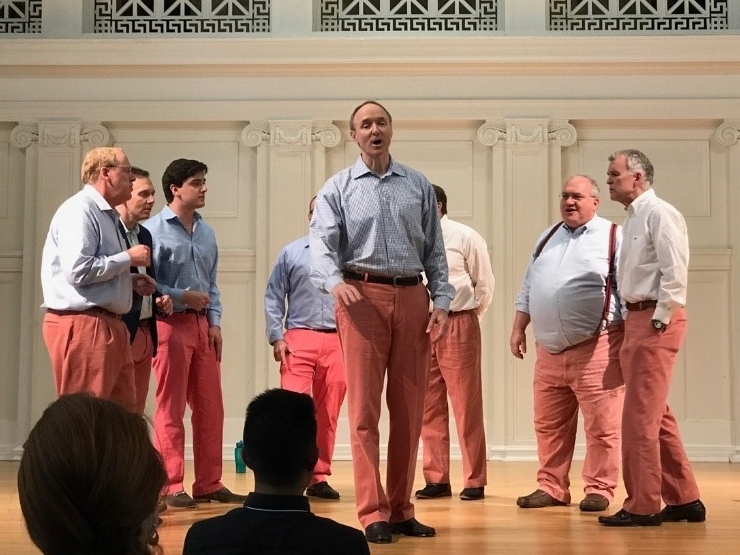 The Off Sounders regularly participate in Spring Sing, an annual gathering of American A Cappella Alliance member groups, which takes place in alternating host group locations around the country. Previous college guest-group concerts have featured: The Colgate Thirteen, the Swinging Gates, and The Resolutions of Colgate University; Ephlat and Octet of Williams College; the ConnChords and CoCo Beaux of Connecticut College; Stuck in the Middle and the Mischords of Middlebury College; the Buffers and Tumbling After of Hamilton College; and the Accidentals of Trinity College. The Off Sounders are looking for new members in all vocal parts. E-mail Mark at inbox13@gmail.com to learn how you can check us out at a rehearsal. Videos / Music Work in progress - stay tuned.